We are a group of volunteers, professionals working basically in the field of medicine also, in other areas. 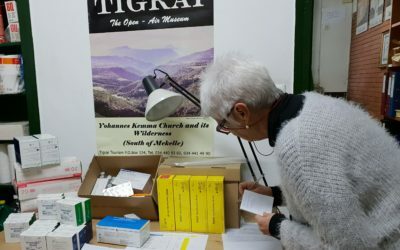 Our shared aim is to improve the eye health in a poor region of Ethiopia by fighting to erradicate avoidable blindness in twelve woredas (districts) with a beneficiary population of approximately one fourth of the Region of Tigray. It would be impossible for Proyecto Visión to carry out its Project without the invaluable financial aid provided by members and collaborators , these are a vital part of our organization. 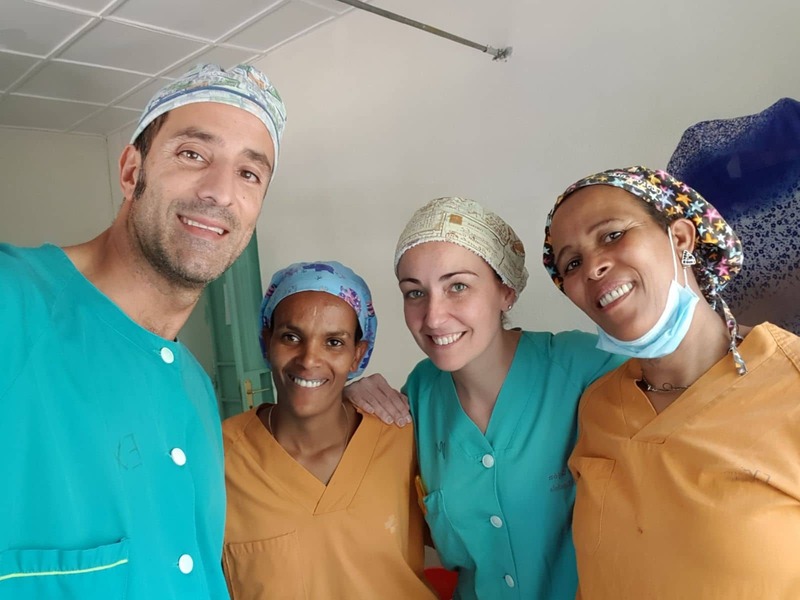 Health Care: Proyecto Visión provides care by performing cataract surgeries and dealing with other medical eye issues at St.Louise Eye Clinic in Mekelle. Prevention: Providing education towards the prevention of eye problems to the population living in remote villages; training and carrying out screenings in schools. Proyecto Visión has built the OMA School in Qwiha and donated it to the people of Tigray. 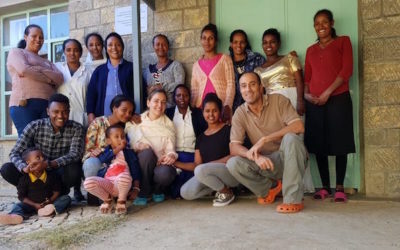 Proyecto Visión has built the School for OMAS to train local staff in opthalmic nursing (OMA Opthalmic Medical Assistant ) and also as trachoma and cataract surgeons (Cataract Surgeon) .The School is within the premises of Qwiha Hospital . Qwiha, which is close to Mekelle, houses University hospitals and schools . 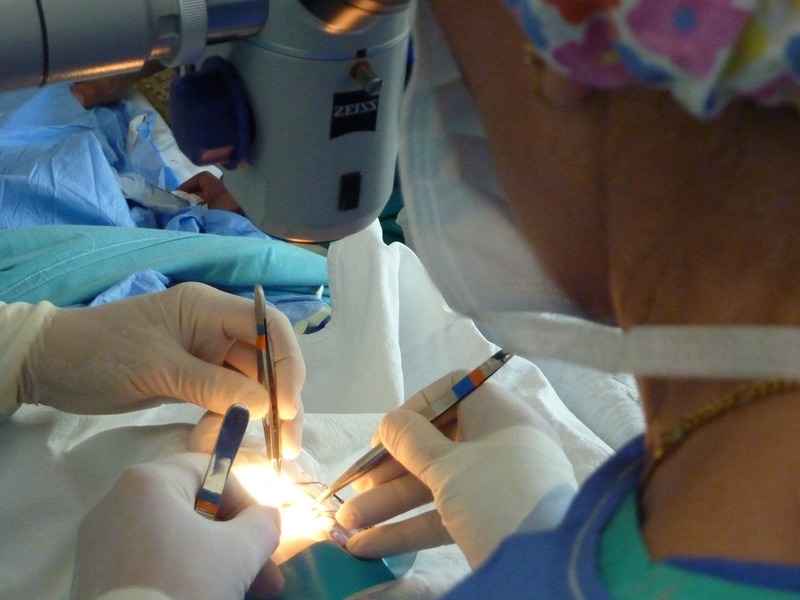 Since it opened in 2008 ,the School has trained around one hundred OMAs and Cataract Surgeons who carry out their task in the various woredas (districts) of Tigray. 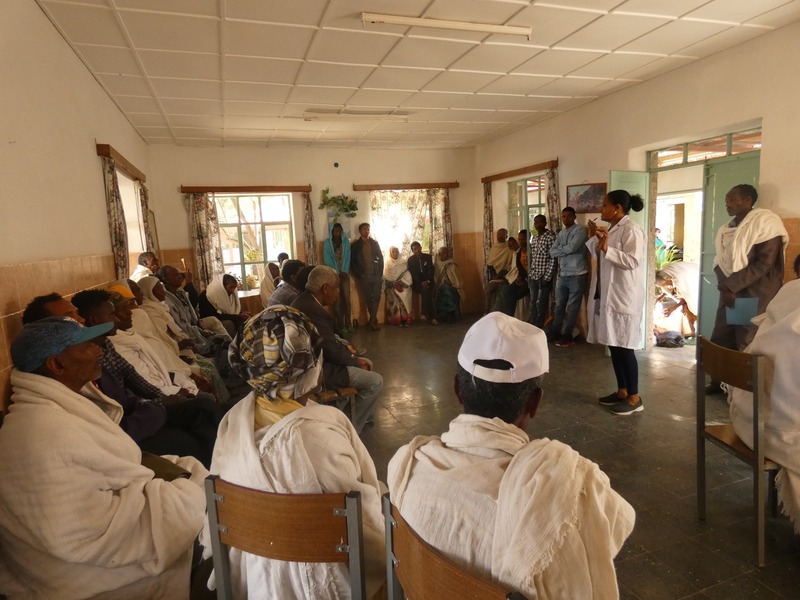 The health authorities of Tigray are now in charge of the Qwiha School of OMAs. St.Louise Eye Clinic’s staff travels to villages and schools in Tigray providing education towards the prevention of eye problems. 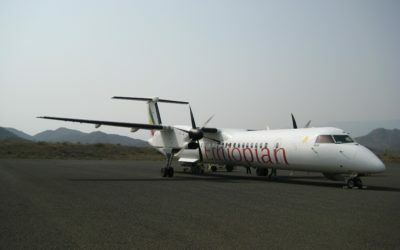 St.Louise Eye Clinic’s teams travel constantly to villages and schools in Tigray to provide training for the prevention of eye health problems for the neediest population. Proyecto Visión has provided the clinic’s teams with two all terrain vehicles to enable easy access to these remote areas. Proyecto Visión has also drilled wáter wells and paths of access to them. Water is basic in helping in the prevention of trachoma , an eye disease which was endemic in the area. The wells are in full working order. 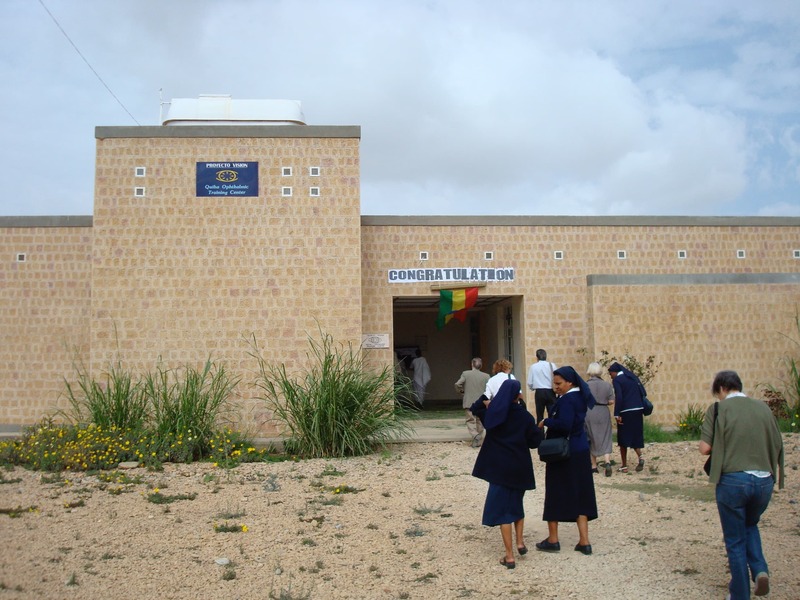 Proyecto Visión has built the Qwiha Opthalmological Hospital and donated it to the People of Tigray. Proyecto Visión has built the Opthalmological Hospital within the Qwiha General Hospital grounds. Tigray’s public health services carry out and concentrate their eye care services in this Hospital. St.Louise Eye Clinic in Mekelle with Proyecto Visión looks after the ocular health of approximately one fourth of the population of Tigray. Proyecto Visión finances the clinic’s upkeep , the maintenance of its two operating theatres, provides medication and surgical equipment. Proyecto Visión’s teams perform surgeries the clinic and are responsable for its medical management.